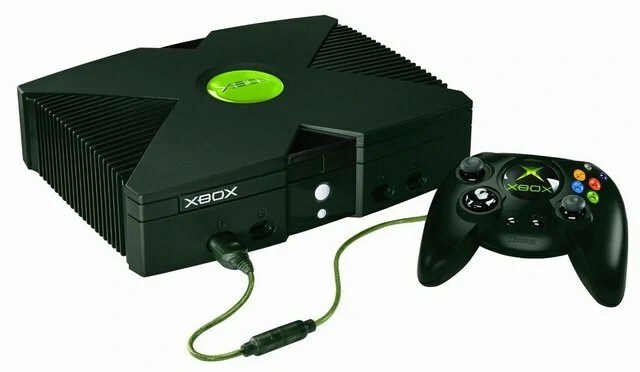 Not one for Apple products, it came to my attention recently that the media centre I had been running on my old xbox for well over two years. Had been ported over to the first generation AppleTV. Way back when Apple first released this device, I originally thought it looked like an expansion for the Apple Mac Mini, all be it for a disc slot on the front, they look very similar. For those of you not in the know, here’s is the principle of the AppleTV in a nugget. If you own an Ipod, Ipad or another fruit branded product sporting OSX. The chances are high that you use Itunes to play all of your music, which through itunes can be shared to other computers on your local network. I believe like Windows media player, Itunes uses UPnP to carry out this operation. With an AppleTV hooked in your living room, you can link the ATV to your network via Wifi, just as you might do with your laptop. Once connected you can log in to your Itunes shares, play music from your music library, even purchase new music/movies via Itunes. While people with old xbox’s have been doing this for some years now using XBMC (XBox Media Center). The technology or ability to set up this sort of service has been for some time restricted to the tech savvy. While attempts have been made to push the computer in to the living room, nobody really did it better then Apple. Keeping with tradition, Apple took the technology, made it idiot proof and offered it to everyone. But as always with Apple there was a catch, if you want to watch movies, listen to music, you had to do it under their terms. Which meant using Itunes, spending money via itunes, renting movies via itunes, selling your soul via itunes..ok i made that last bit up, but trust me that time is coming! Escape from Apples shackles was finally granted, thanks to the efforts of Scott Davilla and Stephan Diederich two men from the XBMC team. While the process does require you jailbreak your ATV, the end result is very rewarding. XBMC pushes the usefulness of the device well beyond the limits of the stock software. Once installed, you can access any networks shares on your Apple or Windows network. Browsing through folders and streaming content straight to your television. I honestly can’t praise XBMC enough, early this year i installed the software on to my girlfriends Xbox. Since then the little black box from Microsoft is in daily use. As Television reception is terribly poor in her area, the Xbox has taken on the role of set top box, music center. Streaming live feeds of BBC One, BBC Two and with the aid of such impressive software as Navi-x a wealth of other content is available. Now no review would be fair without a run down of the failings of this software, of which there are some. However in my opinion for something that is free, these failings or bugs are negligible. XBMC is a work in progress, it is never 100%. The developers of the software prefer to use the term “Stable release” which you may find is a term toss about by many software developers. Indeed you will likely find releases of Linux prescribe to this system when describing some of their downloads. Stable as the name might suggest, is a version of the software which having under gone extensive testing, has operated in the way intended without visible fault or error. At least that is my interpretation, feel free to look it up online. But to say it is stable, does not mean you wont encounter the odd crash when performing a certain operation or when trying to run a video file the software does not recognise. Essentially it’s us button pressers and technological simpletons who are left to stumble across these bugs, where ever they might be hiding and to report them to the developers, so that the program can be ironed out and the bugs removed. I have found in my experience XBMC crashes or stalls on me about 2-3 times a week, depending on what i am doing. I would say 50% of the time this is due to the Xbox running short of memory and simply being unable to get the job done. But this is easily rectified by a quick on and off and we are back in business. As for the AppleTV, I have witnessed it crash 3 times, each time it was while i had left it alone for an extended period of time. I eventually solved the problem by altering the sleep/screen saver settings within XBMC. As it appears the device does not like being put in to standby via the media centre software. My overall verdict is that this software while still with some faults, is a must have for anyone owning an ageing 1st gen AppleTV. Overall the benefits for having this on the device out way the odd bug. And while XMBC is no longer officially supporting the Xbox, the AppleTV is and will likely get support for some time to come. Continuing construction of the old erm new computer.. Since the last blog the little machines has come along in leaps and bounds, the front panel is complete along with LED’s and switches. One issue has been how the tiny PCB that drives the LED’s will be powered. Originally I had it in my head that there was a 3 volt feed available from the ATX power supply. Sadly I discovered i was mistaken, i actually had 12v or 5v to choose from. Not promising when working with a fragile circuit that was originally intended to run from 2xAA batteries. So began a search to reduce the DC coming from the PSU, this eventually led me to regulators, specifically variable regulators, which are capable of reducing a 5v feed to as little as 1.5volts. At first i attempted to construct my own 2.8v rated regulator, using an LM317 and two resistors. As i have never done anything like the before, i found my soldering, indeed my knowledge of circuits coming under pressure. However after consulting several people on the subject, i pressed on and succeeding in a prototype circuit. As is typical for my luck, it did not work. Why, has yet to be determined, but the most likely answer is the regulator was damaged while i was struggling with a faulty soldering iron. I have subsequently purchased another set of parts to attempt another build. If there is one small mercy out of all of this toil. It is that my work was checked by Thrashbarg from the Vintage computer forum and given the ok. Hey my soldering isn’t as bad as i thought! just a pity the damn thing doesn’t work! While i shall work on getting it operational, I have already formulated a backup plan, involving a power supply kit which can be purchased from Maplins. The k18231a requires assembling, however the quality of the kit is far better then the one i am building. With an integrated potentiometer to adjust the output to your requirements, over all i feel this PCB is better suited to the task of powering the front panel LED’s. Assuming i get the front panel operational, the next step will be to get the machine working.. I originally intended a CF card to be used for storage, however from first hand experience, i discovered they do not always lend themselves towards booting with an active partition on board. Whether this is something that can be fixed i had no idea. If not, i shall had to investigate the possibility of an internal 2.5″ hard drive. If like me you own a smart phone running android 2.2, you might have encounter a rather annoying niggle which arises when trying to connect to a router using Wireless-N protocols. Recently my HTC Wildfire informed me of an update availible, upgrading me handset from Eclair (2.1) to Froyo (2.2) which i prudently installed. Once the phone has restarted, i discovered to much annoyance that the handset would not connect to my wireless network for love or money. Several hours ensued with me trolling through the settings of my Linksys WRT300N and i come up with nothing, aside from stress and a lot of acid. So what in heavens was the matter with my phone and the Wifi? After further seaches online i discovered other people where also having the same issues as I. However nobody seemed wise as to the problem, apart from it was localised to routers using wireless N draft. For those of you not in the know, Wireless N is the successor of the ageing Wireless B/G which you will find in almost any laptop built in the past five years, in fact there are still devices being sold now, which are sold with a wireless B/G adaptor. However until recently Wireless-N was not finalised, meaning devices where being built using a preliminary release of the Wireless-N standard. Leaving manufacturers to decide on how they implimented the draft standard in to their devices. While companies have spent of lot of time fixing the issues, there are still some devices, like my WRT300N. Which are no longer recieving firmware updates, simply due to their age. Meaning those bugs can only be rectified by purchasing a replacement device. As my router works fine with the rest of my devices, i was not prepared to spend money simply because my phone didn’t connect to the wireless. So i decided to leave it. Several months passed when during an update to my ZT-180 tablet i was faced with the dreaded wireless problem once more, this time it was serious. The life line to an android tablet is it’s connection to the internet, without which the device in my opinion becomes a bit useless. As a consumer device, was good was it, if it wasn’t consuming my bandwidth? Assuming your are on the “desktop” or main screen of your device as it where. Now here comes the part that will require some advanced knowledge and the use of a computer. Assuming the machine is running Windows, under Win XP, click run from the start menu and type “CMD” then press the return key. A window should appear on the screen, type “ipconfig” press return. In Windows 7, click the menu button and in the seach field type “CMD” press the return key. Hopefully a window should pop up. Making sure that you are typing within this window enter the command “IPCONFIG” press the return key. OK now if your still with me, XP and Win 7 users. A lot of information should now have filled your screen. The important parts we want are Default Gateway and Subnet Mask. Make sure to enter this information in to the appropriate field on your android device. Usually the Gateway will be something similair to 192.168.1.1 or 192.168.0.1. The subnet mask is typically 255.255.255.0. IP address, pay attention to the IP address listed on your main computer, it should be listed under IPv4 address. Now let us say your gateway address is 192.168.1.1, your computer might have an address of 192.168.1.2 or even 192.169.1.12. Really is depends on how many computers are linked to your LAN (local area network) Lets go further and say like me you have a main PC and a laptop. It’s highly likely you do not have more then say 3-4 devices in your house hold. But to be on the safe side, give your android device an IP address of 192.168.1.30. This will put it well out of the way and hopefully not interfere with your routers ability to handle DHCP addresses as usual. Please note you will need to adjust your IP address accordingly, so if your gateway is 192.168.0.1 then you will need to use that address as reference and incriment the final digit. Next is the DNS setting! right now usually this would be an address provided to your router by your service provider. However for your android device, your router IS your service provider. So enter in your default gateway address in to the fields for DNS1 and DNS2. Now press the Home button or the back button to get back to the main screen and hopefully if you try your wifi, it should work. Note if you plan on using the wifi at starbucks or a friends, be sure to untick the “use static IP” in your advanced settings. Dont worry, your device will remember the settings for when you get home. With ever increasing electricity bills and the measure of your carbon foot print, being something for serious thought. The thought came to me while doing my routine roaming of the internet for vintage tech. What about building a new computer, eco friendly, good for surfing and encompassing my favourite past time, vintage computers. A quick look will reveal a wealth of information on old computer mods. Mini ITX boards squeezed inside Atari 2600’s, Commadore 64’s and much more. However that wasn’t what I was looking for. I wanted to build an old looking computer, around a modern mini ITX motherboard as the platform. With a fondness in my heart for the blinky LED’s of the MITS Altair 8800, I had a rough idea what I wanted. Grabbing a few sheets of paper, I sketched out a general design. After a good search around my local electronic stores website, I discovered a perfect ABS plastic project box, coincidentally closely resembling the case of the new Altair mini. If great minds think a like, I was certainly pleased to discover I was using a case similair to very machine I was using as inspiration. Next I was faced with a hurdle, how to reproduce the front panel. Over the years as the micro computer or as its commonly known today, the personal computer (PC). Coined by the brains at IBM the term PC eventually became the common word for and computer used in the office or at home. But as I was saying, the front panel! If you glance at a modern PC, you will commonly find two LED’s indicating power and drive activity as well as a power and reset switch. Compared to the computers of old, its become a bit bare. Now how the devil was I going to populate the front of my computer with only two active LED’s. Well a wise man once say “If you have it use it and if you don’t, fake it!” So that’s exactly what I planned. Utilizing some form of LED driver circuit I would make the lights blink, giving the impression of activity.